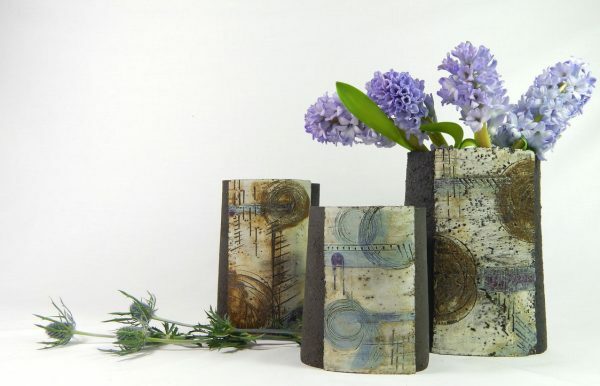 My contemporary ceramic vessels, bowls and wall plaques are slab formed with textured or chunky black clay. They are decorated with slips before being impressed with marks created by using manmade found objects to form designs inspired by photographs taken whilst travelling extensively. Glazes are used to highlight the mark making.